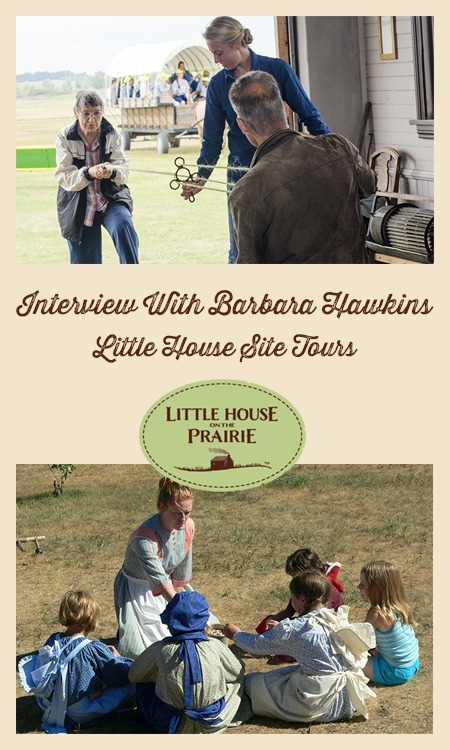 Today’s interview is with Barbara Hawkins, founder of Little House Site Tours. 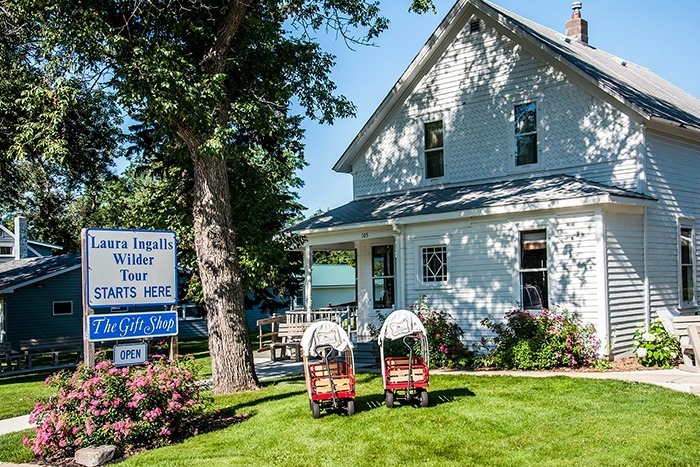 For fifteen years, Barbara and her husband George have been organizing tours of the Little House on the Prairie Historic Locations that have attracted visitors from around the world. If you would like to participate in a tour, please contact them by visiting their website. 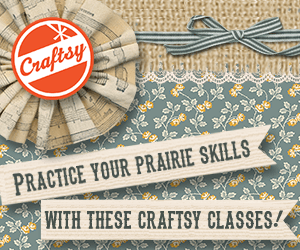 Q: When did you become interested in Laura Ingalls Wilder? I was teaching fourth grade in Dickinson, North Dakota in 1961 while my husband George was stationed there with the Air Force. Little House in the Big Woods was suggested as a good book to go with our pioneer unit. When I read this wonderful book out loud in class, the children listened with rapt attention. My love for Little House had begun! 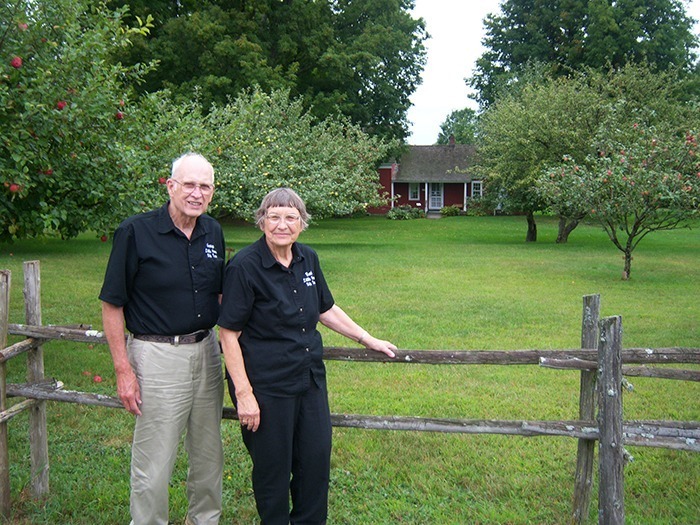 Barb and George Hawkins at the Wilder Homestead in Burke, New York. Q: Do you have a favorite Little House book or chapter? I enjoy all of the Little House books but Little House in the Big Woods is a favorite. 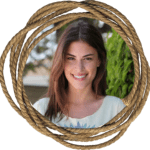 The first chapter sets the stage and shows so many things that made Laura happy – a corncob doll, playing in the loft, helping Ma, the pig’s bladder, and Pa’s stories and fiddle playing. 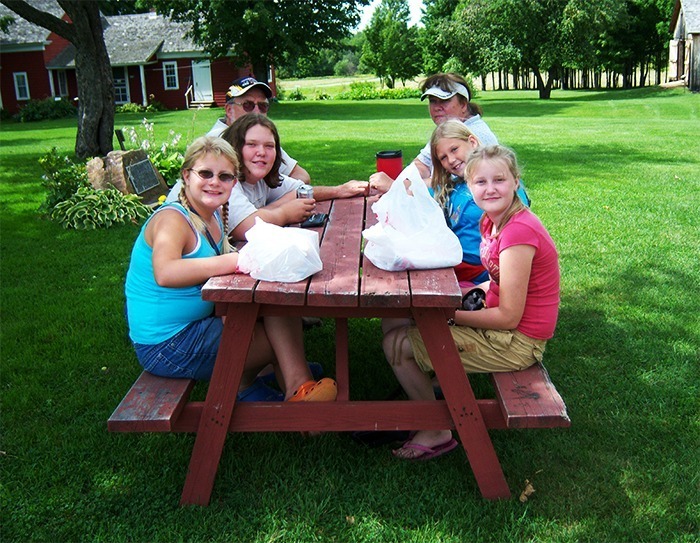 Picnic at the Wilder Homestead in Burke, New York. 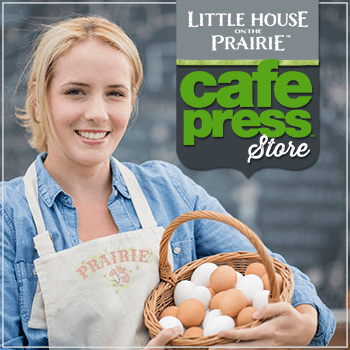 Q: What inspired you to create Little House Site Tours? In 1998 I went on the Laura Ingalls Wilder Study Tour that was sponsored by three librarians in Iowa. There were fourteen of us traveling in two vans. We left from Cedar Rapids, Iowa and visited Burr Oak, Pepin, Walnut Grove, De Smet, Independence, and Mansfield. The tour ended at the Herbert Hoover Library in West Branch, Iowa. George and I had previously been on four cruises, but this tour was better than any of them. I wanted to go again; but they dropped the study tour. Historical Society in De Smet, South Dakota. I started thinking about how much I enjoyed being with other Little House fans and the joy I had always felt over the years when planning trips for our family. The idea of starting a tour company seemed like something meant for me. I mentioned it to George while we ate breakfast one morning in February 2000. His reply: “Go for it.” By the end of the month I completed the paperwork and had a company, Little House Site Tours, LLC. Q: What were some obstacles to starting your business and what were you pleasantly surprised to discover? There were so many hurdles that I never anticipated but there were also some friendly people along the way who offered me advice. The first, and most important hurdle, was getting commercial insurance. While shopping for a van, I was fortunate to meet a nice lady salesperson who gave me excellent insurance advice. I have always appreciated that. Playing pioneer games at the Ingalls Homestead in De Smet, South Dakota. On the 1998 Study Tour, I met a wonderful Laura friend, Trini. She was the one who made my first brochure and guided me in the right direction for a website. Both were new ventures for me at the time. Finding a van and getting a chauffeur’s license were also new things; but went well. My husband agreed to join the business, got his chauffeur’s license, and was excited about everything after his first tour. People at all the Little House Sites were friendly and helpful from the very beginning. They had excellent guides ready for us upon our arrival. They also provided me with a lot of information that was particularly helpful during those early tours when I often got questions I could not answer. Q: What types of tours do you offer and what locations do you visit? In the beginning we offered only van tours. These tours were limited to adults because of commercial insurance rules. In 2005 we began conducting Caravan Tours where everyone drives their own vehicle and we travel together. This made it possible for all ages to come – families and also friends who wanted to be in the same vehicle. 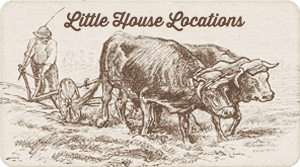 Little House Site Tours takes care of the lodging arrangements, admissions, a group picnic, and the farewell dinner. 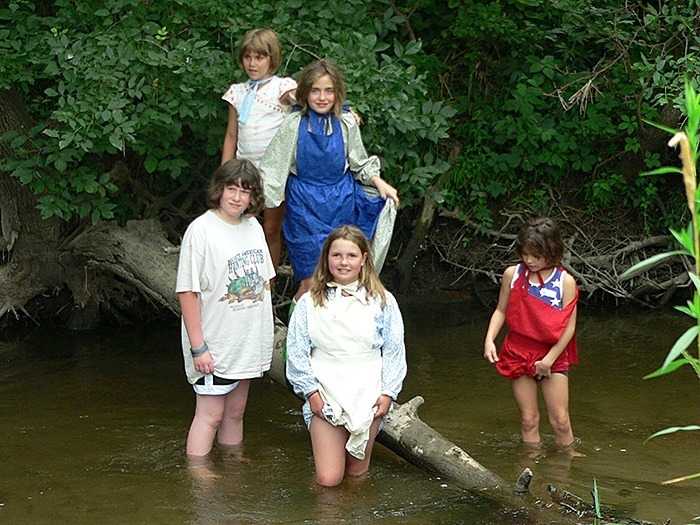 Wading in Plum Creek in Walnut Grove, Minnesota. We also offer Private Tours, which provide the opportunity for participants to choose their starting and ending locations and list the places they would like to see. We have enjoyed doing private tours for people from England and Japan. We are available to do private van and caravan tours for people of all ages and interests. 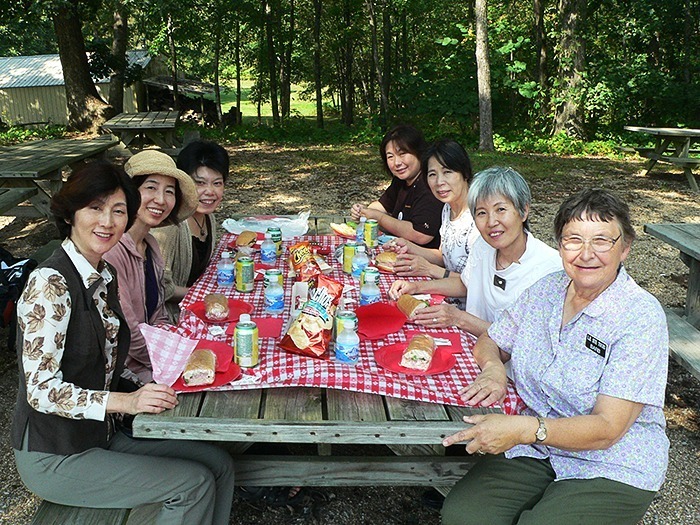 Tour group from Japan enjoying a picnic in Mansfield, Missouri. Q: Who joins your tours and where do they come from? Do you have a favorite story or memory from one of your tours that you can share with us? We get Laura fans from many backgrounds; but all get along so well. We have a get-acquainted meeting our first evening and usually the children jump in the pool after the meeting. One tour had people from Japan, the Netherlands, and four different states. They were like a “family” within a few hours. One of my favorite memories is looking back in the van and seeing people from the Netherlands and Japan comparing their paper currency. Many tour participants have returned for a second, third, and fourth time since we offer several different tours and make changes every year. 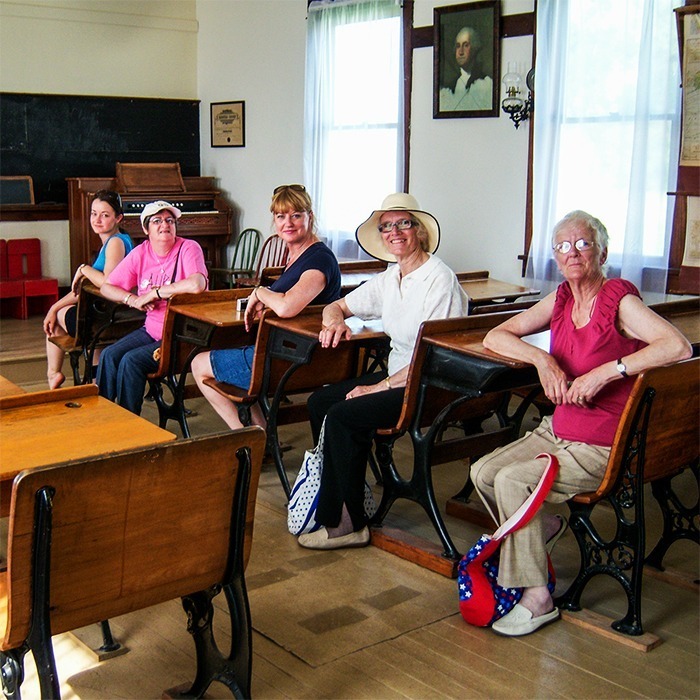 Tour group from the United Kingdom in the schoolhouse near Independence, Kansas. 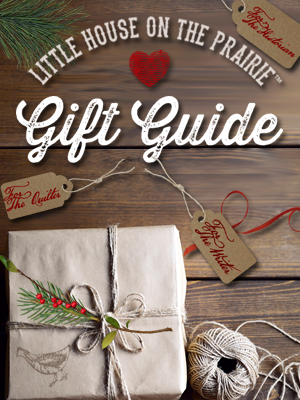 Q: What other services/products do you offer to Laura Ingalls Wilder fans? When the Little House Site Tours Company was formed in February 2000, writing books and making DVDs was the last thing I ever expected to do. Somehow I got an idea that a verse book would be fun to write. Then George and I ventured to write two more books. Now we have the following books: 100 Verses About Laura Ingalls Wilder, Exploring the Homesites of Laura Ingalls Wilder, and Laura Ingalls Wilder and the Family Journey. In 2016, we hope to publish a revised version of 100 Verses About Laura Ingalls Wilder. Our first DVD, “Visiting the Homesites of Laura Ingalls Wilder”, did so well that we decided to expand it in length and add more historical photographs. This resulted in the 60-minute DVD, “Discovering the Homesites of Laura Ingalls Wilder”. We have taken thousands of photos and have used some of them to make photo-related items like notecards and prints suitable for framing. Q: What do you enjoy most about your business and what are your plans for the future? The opportunity to meet people from all over the world is something that George and I never expected to do during our retirement years. Making lifelong friends with many Little House fans has been very gratifying. Seeing these people come in from all over the world, and then get together again a year later in their own countries, has been a great experience. 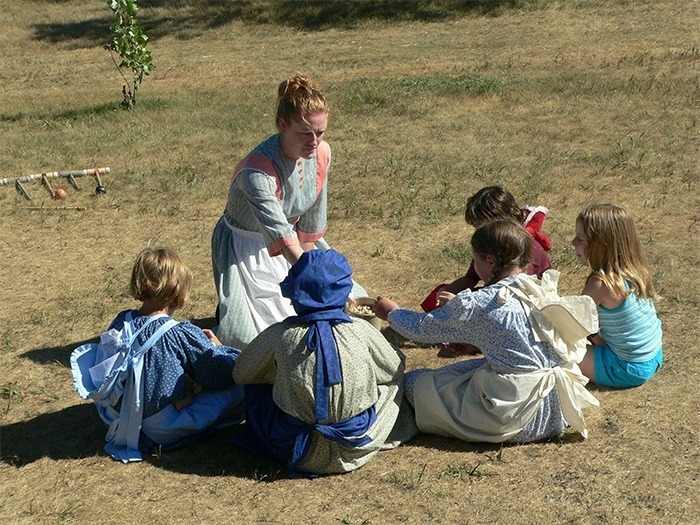 In recent years we have also enjoyed doing Little House programs for libraries and conferences. 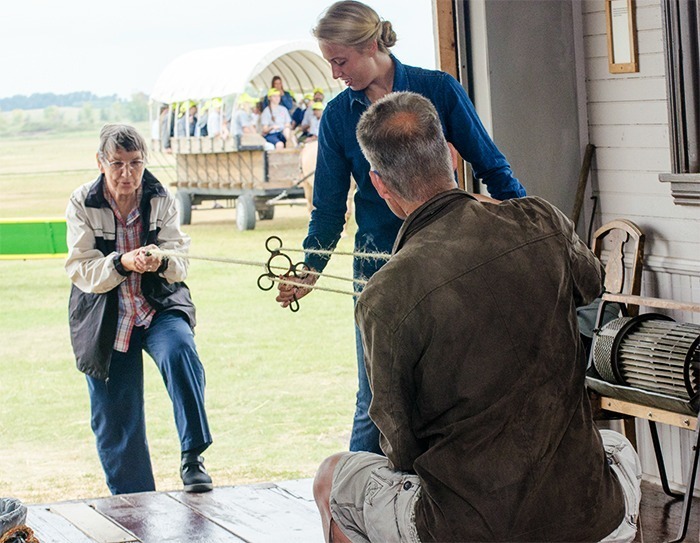 Rope making at the Ingalls Homestead near De Smet, South Dakota. We plan to continue doing tours, writing books, and making DVDs, as long as we have good health. Barbara Hawkins was born in Detroit, Michigan, the oldest of three daughters. Her father was a tool and die maker at Chrysler Corporation. When she was in the third grade her family moved to a rural area of Mt. Clemens, Michigan. Her mother became part of the County Library staff and remained there until her retirement. At Mt. Clemens High School, the teachers kept telling Barbara to further her education after graduation. She went on to receive her bachelor and masters degrees from Michigan State University. She and George met in high school and were married while students at MSU. They have three children and five grandchildren. You can learn more about Little House Site Tours by visiting Barbara and George’s website. 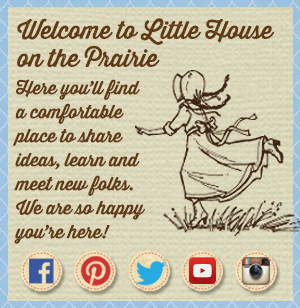 Be sure to subscribe to our newsletter for future in-depth profiles of your favorite Laura Ingalls Wilder locations. Well Done! Barb and George are inspirational as they’ve developed the LH Site Tours over the years. Even though I’ve not been on one of their tours, we’ve shared stories, travel ideas and our love of traveling to Laura-land. Best wishes for a great new season of tours! I remember reading about Laura in grade school. Then watching Little House On The Prairie. I would like itourist nformation. Location of places to tour.